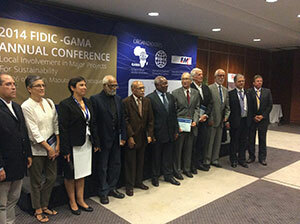 CESA representatives are attending the GAMA conference in Maputo, Mozambique (23-26 March 2014). The GAMA Conference is the biggest annual networking for consulting engineers in Africa. It is a forum where various entities share and exchange ideologies and methodologies for the provision of consulting engineering services. The conference theme: "Local Involvement in Major Projects for Sustainability" provides an opportunity for the delegates to discuss the role of the African Engineers and the contribution of Consulting Engineers in the development of their countries.